WASHINGTON, DC, July 28, 2016 (ENS) – After a four-year review of its environmental and social safeguards, the World Bank has released an updated set of safeguards in the newly drafted document “Environmental and Social Framework.” But nongovernmental organizations say the safeguards have been weakened, not strengthened. The Bank says the safeguards review and update is part of a larger modernization effort within the institution, which includes separate reviews of Investment Lending, to which the safeguard policies are applied, and operational procurement policies. “The main objective of the review is to strengthen the safeguards policies to enhance the development effectiveness of World Bank-supported projects and programs,” the Bank says in a statement on its website. The Bank is “currently in the process of updating its safeguards policies and procedures and we expect the new policies or procedures to be in place soon,” said Warwick. “At a time when the Bank intends to finance more high-risk projects in high-risk contexts, the safeguards should provide heightened protection and vigilance. Instead, the Bank has proposed increasing ‘flexibility’ and relaxed requirements,” the groups warn. 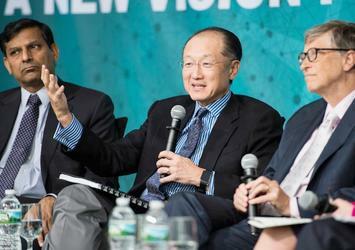 The groups warn that the new Environmental and Social Safeguards Framework does not reflect World Bank President Jim Yong Kim’s commitment to ensure that the Bank’s new rules will not weaken or “dilute” existing mandatory environmental and social protection measures. “For the first time, the Bank will be allowed to fund the destruction of natural habitats, including nationally or locally protected forests, while stripping away protections and rights for forest communities, a shocking dilution of existing protections,” said Stephanie Fried of the Ulu Foundation, a U.S. environmental organization. “By diluting the Bank’s due diligence requirements, eliminating requirements for borrower compliance and clear accountability structures, and introducing vague language throughout the draft, the Bank has effectively dismantled 30 years of environmental and social protections for the world’s most impoverished and vulnerable peoples,” said Fried. 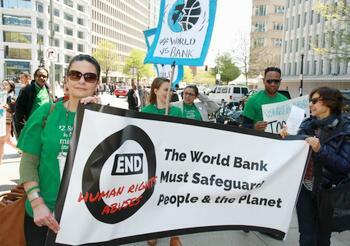 World Bank projects have been linked to devastating human rights violations. Groups have documented the use of torture and forced labor in facilities where the Bank is financing projects, project workers sexually assaulting women and girls, and crackdowns on Bank critics. Despite this, the Bank has refused to commit to respect human rights and avoid adverse human rights impacts in all of its projects, the groups said. Instead of binding human rights requirements, the latest draft only includes human rights language in the aspirational Vision Statement. The policies under review are the eight environmental and social safeguard policies: Environmental Assessment, Natural Habitats, Pest Management, Indigenous Peoples, Physical Cultural Resources, Involuntary Resettlement, Forests and Safety of Dams, as well as the Policy on Piloting the Use of Borrower Systems for Environmental and Social Safeguards. As part of the review and update process the Bank is considering if and how it could potentially address a number of emerging areas that are not covered by the current safeguard policies. These include climate change; disability; free, prior and informed consent of Indigenous People; gender; human rights; labor and occupational health and safety; and land tenure and natural resources. During the consultation period of Phase 1 these areas were discussed through internal dialogue and consultations with shareholders and stakeholders, as well as through a global series of focus groups with external experts on each of the seven emerging areas that took place between February through May 2013. Summary notes from the discussion are available here. Nevertheless, the groups say, the draft appears to reflect little of the input received from civil society organizations, indigenous peoples and communities calling for stronger, clearer protections for their environments, their livelihoods and their human rights. The World Bank’s safeguard policies, that the groups say were “once considered the gold standard in safeguards for development finance,” were created in the wake of negative impacts from World Bank projects on communities and the environment that led to social unrest. Recognition of the power imbalances within countries that led to the violation of communities’ rights, was an important factor in the development of World Bank safeguards. They were intended to create clear environmental assessment standards, require public information disclosure, consultation with affected communities, recognition and protection of the rights of indigenous peoples and protection of forests and biodiversity. “The use of World Bank funds often led to larger projects than otherwise possible and, thus, to heightened environmental and social risks for local communities,” said Korinna Horta of the German group Urgewald. protections for indigenous peoples in a Tanzanian project, despite serious impacts on indigenous peoples in the project area. 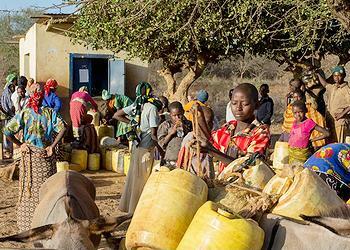 the eviction of indigenous pastoralists from lands slated for cultivation, among other human rights violations. While the Bank’s Indigenous Peoples Policy would normally give indigenous peoples a voice in development projects and act as a safeguard, the Bank has accepted an argument from the Tanzanian government that the policy and the recognition of certain groups as indigenous goes against the country’s constitution, although Tanzania has applied the Indigenous Peoples Policy in previous Bank investments without raising constitutional concerns. Established in 1944, the World Bank Group is headquartered in Washington, DC and has over 10,000 employees in more than 120 offices worldwide. The World Bank Group consists of five organizations: the International Bank for Reconstruction and Development, the International Development Association, the International Finance Corporation, the Multilateral Investment Guarantee Agency, and the International Centre for Settlement of Investment Disputes. The World Bank Group provides low-interest loans, zero to low-interest credits, and grants to developing countries. These support investments in: education, health, public administration, infrastructure, financial and private sector development, agriculture, and environmental and natural resource management. Some projects are cofinanced with governments, other multilateral institutions, commercial banks, export credit agencies, and private sector investors.